If there is enough interest I will try to post the ratings of YA in the Dutch leagues. Think it is handy to keep it in one spot. Mahtzo1, wixson7, Eighteen Alpha and 4 others repped this. Payne? And whose ratings, voetbal? Also, might be worth putting this in the main forum as Gameday get much less traffic. Up to the moderator to decide. Don't mess with the Bunga. 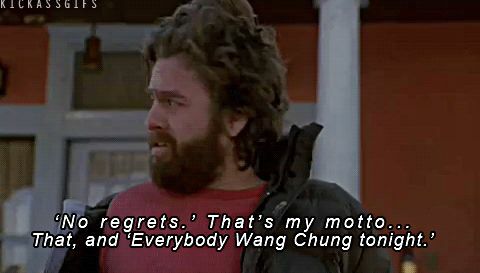 That's always been my motto! Okay, I can add another one to the list, Gedion Zelalem at VVV Venlo. 5 are hired from Manchester City: James Horsfield, Ashley Smith-Brown, Manu Garcia, Thomas Agyepong & Brandon Barker. Jorn Brondeel hired from Lierse SK, Shane O’Neill hired from Cypriotic Apollon Limassol, Charni Ekangamene hired from Zulte Waregem en Jari Oosterwijk hired from FC Twente. Now that Gedion Zelalem has completed his loan move to Dutch side VVV-Venlo, he’s set the record straight on the awkward ‘interview’ imposed on him by a reporter in the club’s parking lot the other day. In the video, originally posted by Dutch publication Omroep Venlo, the USA youth international looked less than pleased to be the subject of attention. It now turns out it was for a good reason. Without the paperwork for his move being finalised he wasn’t actually allowed to talk to anybody from the media. 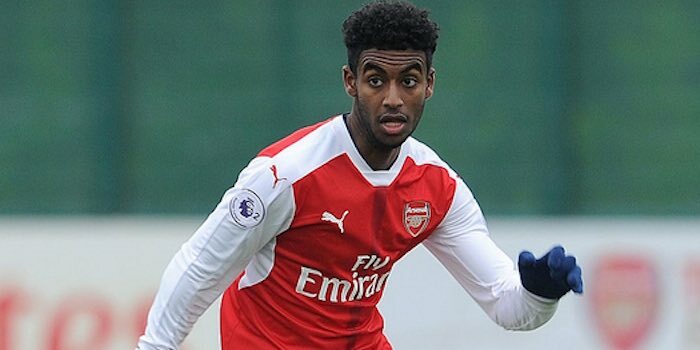 In his first interview with VVV-Venlo’s official site, Zelalem explained: “I’m not that arrogant guy, I’m very happy to be here. Young Gedion also touched on how it is, that he has ended up swapping the Premier League for the Dutch second tier, drawing attention to his desire for game time and the influence of Arsenal Academy head, Andries Jonker. “I wasn’t getting a lot of game time because they have a lot of midfielders. There’s top competition with the midfielders they have so I wanted to get first team football because I’ve had it already. He added: “Andries Jonker, who I’m sure a lot of Dutch football fans know about him, as he was an assistant to Louis van Gaal…he told me I needed to come to a team that has a lot of the ball, that’s maybe top of a league so I can get on the ball and show my talent. Midas Mulligan, Winoman and ShadowMoses2 repped this. "Manager Voetbal Stan Valckx: "In eerste instantie zijn wij te rade gegaan bij PartnerClub West Ham United, echter konden zij ons dit type speler niet bieden. Wij zijn altijd op zoek geweest naar buitenkansjes en nu deed zich deze unieke kans voor, die wij met beide handen hebben aangegrepen. Gezien het aantal wedstrijden dat we nog spelen en de breedte van onze selectie, is Gedion een welkome versterking". Marco Bogers, algemeen directeur: "we zijn blij dat Arsenal ons deze mogelijk biedt. Onze PartnerClub West Ham United hebben we hierover ingelicht. De gesprekken over deze huurovereenkomst zijn prima verlopen. Het papierwerk neemt, i.v.m. een internationale huurovereenkomst, meer tijd in beslag. Gelukkig is vandaag alles rondgekomen en is Gedion vanaf heden speelgerechtigd voor onze club. Wij wensen Gedion veel succes bij onze club en hopen dat hij zijn bijdrage kan leveren aan de prestaties dit seizoen." "Manager Football Stan Valckx: "Initially we asked for advice from partner club West Ham United, but they could not offer us this type of player. We are always seeking out opportunities and now this unique opportunity presented itself, which we welcomed and seized with both hands. Given the number of games that we play and breadth of our selection, Gedion is a welcome enhancement. " Marco Boogers, CEO: "We are delighted that Arsenal offers us this opportunity(e potential) Our partner club West Ham United(, we have been) we informed about it. The discussions on this lease went just fine (are fine gradients) The paperwork takes, regarding international lease, more time.... Fortunately, today everything was finalized (came around) and Gedion from now on is licensed to play for our club. (Gedion) We wish Gedion good luck at (to) our club and hope that he can contribute to the performance this season. O'Neill has been rated in the double encounter with FC Den Bosch a 5 in the away match and a 6 at home. Desevio was rated with a 5 against Excelsior. Both Miazga and Zelalem were playing unsufficient minutes for a rating by Voetbal International. Sebsasour and Winoman repped this. Feyenoord: Jones 7; Karsdorp 7, Botteghin 7,5, Van der Heijden 8, Kongolo 7; El Ahmadi 7,5, Toornstra 8, Vilhena 7; Berghuis 7, Jörgensen 7, Elia 7. FC Groningen: Padt 6,5; Payne 6, Larsen 6, Reijnen 6, Memisevic 5, Van Nieff 5; Bacuna 6, Tibbling 5,5 (64. Sorloth 5,5), Jenssen 5 (80. Hiariej -); Linssen 5 (56. Idrissi 5,5); Mahi 5. Vitesse: Room 6; Leerdam 5, Kashia 5, Van der Werff 6 (36. Miazga 6), Diks 6; Nakamba 6,5 (87. Van Bergen -), Nathan 5, Baker 6; Rashica 6,5, Van Wolfswinkel 5, Tighadouini 6,5 (72. Foor -). Willem II: Lamprou 7; Van Anholt 5, Lachman 6,5, Peters 7, Tshimanga 6; Haye 5, (76. Croux -), Lieftink 5, Kali 6, Koppers 7; Sol 5, (90. Wuytens -), Oulare 5. Scheidsrechter: Arbiter Van den Kerkhof 6. There are no ratings in this publication for the Dutch Jupiler. I have those from Voetbal International Thursday. taylor, Winoman and Eighteen Alpha repped this. Zelalem no rating Not enough minutes. taylor and Winoman repped this. Vitesse: Room 6; Diks 6, Kashia 6,5, Miazga 7,5, Faye 6,5 (83. Büttner -); Nakamba 6 (84. Ali -), Nathan 6, Baker 6; Rashica 5,5, Van Wolfswinkel 6, Tighadouini 6 (74. Foor -). Ajax: Onana 7; Veltman 5, Sánchez 7, Riedewald 6,5, Viergever 6,5; Schöne 5,5, Klaassen 7,5, Ziyech 5 (83. Van de Beek -); Traoré 4,5 (66. Kluivert -), Dolberg 5 (88. Cassierra -), Younes 6. Sparta: Kortsmit 5.5; Floranus 6, Breuer 5, Vriends 6, Van Drongelen 5.5; Mendes da Silva 6.5 (53. Sanusi 5.5), Van Moorsel 6.5, Dijkstra 5.5; Cabral 6 (73. Pogba), Pusic 6, Calero 5 (71. Verhaar). FC Groningen: Padt 6; Payne 6, Reijnen 6, Larsen 5,5, Van Nieff 6; Tibbling 5 (62. Sörloth, 80. Memisevic -) Bacuna 5, Jenssen 6; Linssen 5 (54. Hiariej -) Mahi 7, Idrissi 6. PalmettoSpur and Winoman repped this. Zelalem no rating Didnot play. Go Ahead Eagles: Zwarthoed 6; Groenbast 6, Fischer 5 (71. De Kogel -), Schenk 5,5, Ritzmaier 5; Chirivella 5,5, Crowley 7, Duits 6,5; Antonia 5,5 (79. Maatsen -), Hendriks 5,5 (57. Marengo 6), Manu 5,5. Vitesse: Room 6 (71. Törnes -); Diks 6, Kashia 7, Miazga 7, Leerdam 6; Nakamba 6,5, Nathan 5,5, Baker 5,5; Rashica 6,5, Van Wolfswinkel 7 (86. Ali -), Foor 6 (80. Büttner -). Go Ahead Eagles: Zwarthoed 6; Groenbast 6, Fischer 6 (71. De Kogel -), Schenk 6, Ritzmaier 6; Chirivella 6, Crowley 7, Duits 6,5; Antonia 5,5 (79. Maatsen -), Hendriks 5 (57. Marengo -), Manu 6. Vitesse: Room 6,5 (71. Törnes -); Diks 6, Kashia 7, Miazga 6, Leerdam 6; Nakamba 6,5, Nathan 6, Baker 7; Rashica 7, Van Wolfswinkel 6 (86. Ali -), Foor 6,5 (80. Büttner -). PalmettoSpur, LouisianaViking07/09, ChuckMe92 and 1 other person repped this. what's the ratings for Kai K for the Vitesse reserve squad? PEC Zwolle – Vitesse 3-1PEC Zwolle: Van der Hart 6,5; Van Polen 7, Sandler 6,5 (70. Schenkeveld -), Bouy 6,5, Warmerdam 7,5; Holla 7, Saymak 7 (81. Nijland -), Ehizibue 6 (76. Mokhtar -); Thomas 6,5, Menig 6,5, Brock-Madsen 7. Vitesse: Törnes 4; Leerdam 5, Kashia 5, Miazga 5, Diks 4,5; Nakamba 6, Tighadouini 5, Baker 4,5 (68. Ali -); Rashica 6, Van Wolfswinkel 6 (79. Van Bergen -), Foor 4,5 (68. Zhang -). FC Groningen – Ajax 1-1FC Groningen: Padt 6; Memisevic 5, Reijnen 6, Larsen 6,5, Davidson 6; Tibbling 7, Hiariej 6,5 (79. Van Nieff -), Jenssen 7; Idrissi 6 (Payne -), Linssen 6,5 (75. Drost-), Mahi 6. Ajax: Onana 5; Veltman 5, Sánchez 5 (78. Van de Beek -), De Ligt 6,5, Sinkgraven 6,5; Schöne 5, Klaassen 6, Ziyech 4,5 (89. Cassierra -); Traoré 4 (59. Kluivert 6), Dolberg 5, Younes 6,5.